Full season – First year adult members $80; returning adult members $160; recreational student members $80. Competitive students do not pay a support fee. They are expected to put in the hours on an honour system. All full season members must pay a support fee at the time of registration. This fee is fully refundable once the member has completed the minimum required number of volunteer hours. Refer to the Support Fee Refund Request Form in the Forms & Documents section, or click below. Returning members, total $590; new members, total $510. Adult/PSO membership $430, support fee $160 ($80 new members), total $590 ($510 new members). An adult member is one who is not a student. Returning PSOs must register and pay their fees in full before May 1st. Limited space is available to full season members for storage of private shells. Please read the BRC Private Boat Storage Policy, and contact us to get your name on the waiting list for a space. Returning and new recreational student members, total $410. Student recreational membership $330, support fee $80, total $410 . A student member is one who attended an educational institution full-time in the school term prior to the summer (or who is enrolled in full-time studies during the summer) and who plans to continue his/her studies full-time in the fall. Full season competitive students base fee $380. 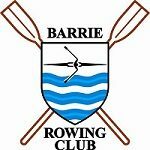 There will be additional costs including regatta fees etc. No support fee levied. Base fee does not include regatta fees, unisuit, transport, etc. Download a registration/waiver form from the Forms & Documents section. Complete registration and make payment in person or send in by mail. Support Fee Refund Request Form is available to download here.